Pushmataha (ca. 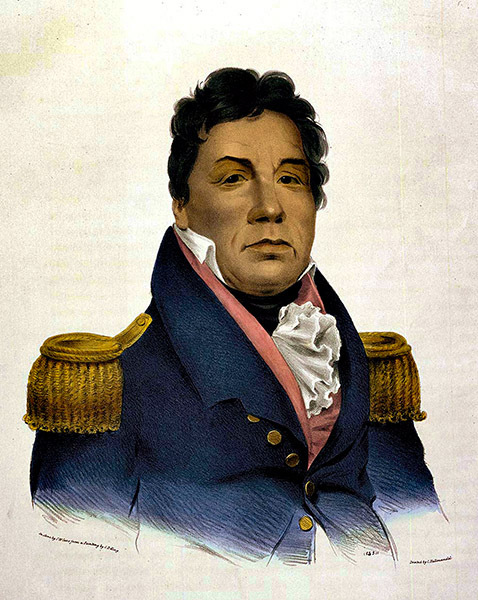 1764-1824) was a Choctaw chief who advocated peaceful relations with the U.S. and adoption of European education systems by Native Americans. His forces fought for the United States in the War of 1812 and alongside those of Andrew Jackson against the Red Stick Creeks in the Battle of Econochaca (Holy Ground) and the Battle of Horseshoe Bend.